More details are beginning to emerge on Nollywood actor Jim Iyke's foray into music. Jim's debut album is tentatively titled 'Who Am I'. The 'Afro-Pop' album was produced by Puffy T & Spoons while 2Face, Yinka Davies & Sound Sultan feature as well. 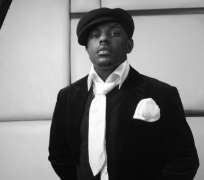 Tracks from the album include “Jim Iyke Mania,” “Bad Boys Don't Kiss and Tell,” “When you point one finger at me four are pointed at you”. Wow! The track titles alone are another level! According to Jim, he is heading to Puerto Rico soon to star in a movie with 'Fast & The Furious' Star, Paul Campbell.